This charm is imbued with a particularly useful spell! While equipped no cheese can be taken from your trap! However, the Baitkeep Charm will be consumed on nearly every hunt, so, choose wisely when to take advantage of this powerful trinket. Loot from Retired Minotaur Mouse in Zokor. Season 3 Treasure Chest onwards. Hunting with an Unstable Charm. While equipped, this charm prevents mice from taking the equipped cheese. 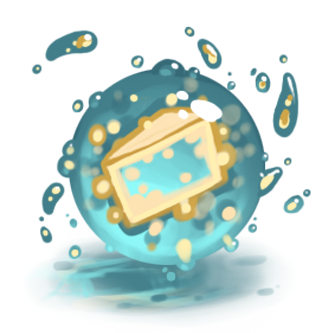 23 June 2015: The Baitkeep Charm was introduced with the release of Season 3 Treasure Maps. This page was last edited on 30 April 2018, at 07:21.